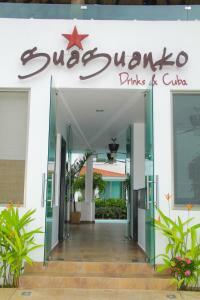 The place was clean, the bed was confortable and the staff was very nice and helpful. The staff was exceptional. They were always aiming to please us. It is a peaceful setting. Rooms were nice and clean. Wait staff was very friendly. Guadalupe ( manager ) runs a tight ship and that was appropriated. My family enjoyed every bit of this property. We look forward to staying here again. Superb atmosphere. Staff always pleasant and smiling, ready to help. 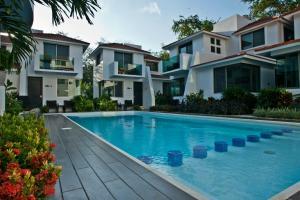 Very nice villas of 3 bedrooms, around a beautiful kept pool. Cleaning EVERY day, chance of towels and beach towels EVERY day, change of sheets every 2-3 days. Even wash the dishes if we don’t have time to do it before les info for the day. Our stay at Villa Maria Isabel was for two weeks plus a day. The staff were extremely helpful. Our unit was kept so very clean! Two suggestions: that the upstairs could possibly be made use of as an exercise or yoga room. that some hammocks be hung up drfor people to enjoy some time out of the sun. The staff are amazing! We had such a great time going to beaches in the day and lounging at the pool in the afternoon. The breakfast is massive and very delicious. We will definitely be going back and bringing our families. Staff Guadalupe, Adelina, and Sylvia. Housekeeper (name?) was great Amazing breakfast for 80 pesos cooked to order. Clean beautiful pool. Location and common area perfect. Quick walk to perfect swim beach (Tongulinda). Near by restaurants 5star. 2 convient stores easy to walk to! If you need anything just ask! Limited English, use interpretor app. Very clean and all staff is very friendly. Wil be returning. Very clean, very helpful staff. When pool got noisy after closing, manager took care of it pronto! Perfect small hotel. Relatively new. Staff was extremely helpful. Perfect place to relax and enjoy yourself. 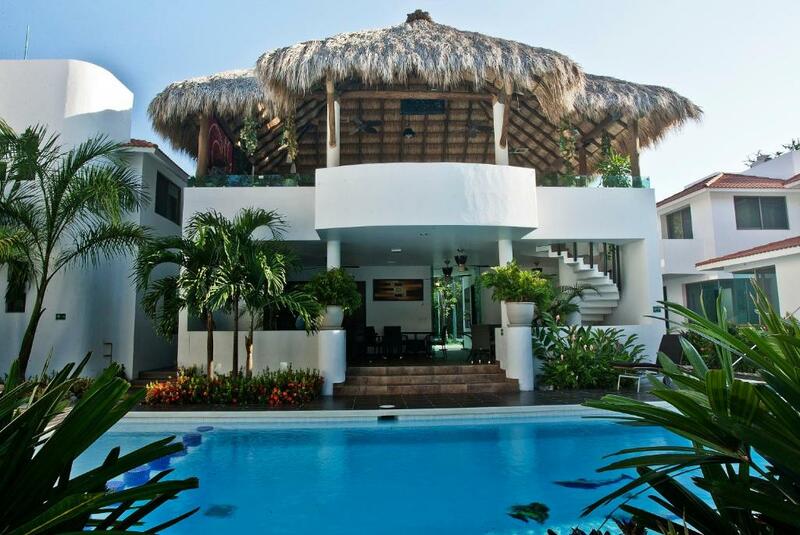 Lock in a great price for Villas Maria Isabel – rated 9 by recent guests! Villas Maria Isabel This rating is a reflection of how the property compares to the industry standard when it comes to price, facilities and services available. It's based on a self-evaluation by the property. Use this rating to help choose your stay! One of our best sellers in Santa Cruz Huatulco! 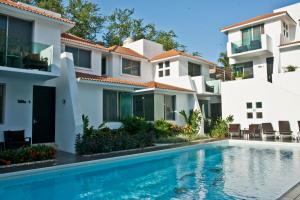 Villas Maria Isabel is located in the hotel centreof Huatulco, just a 5-minute walk from the beach in Tangolunda. 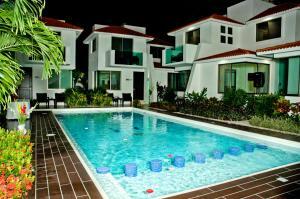 It offers luxurious villas with free Wi-Fi and a shared outdoor swimming pool. 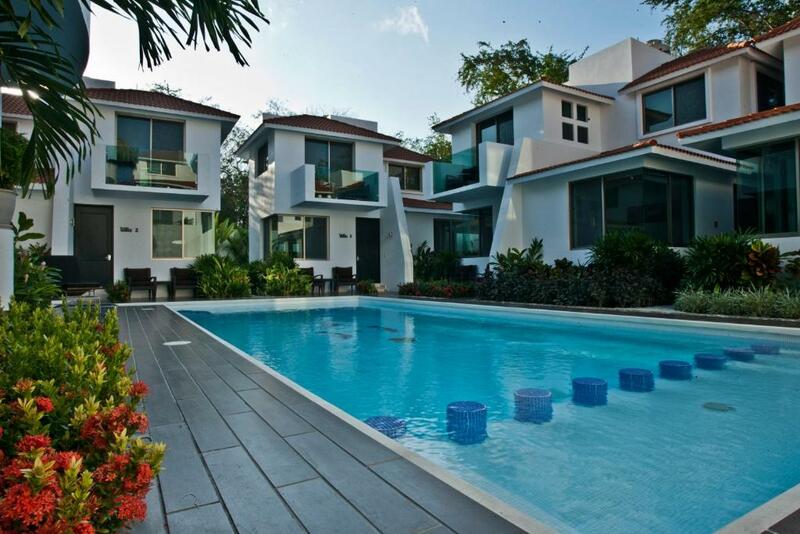 Each villa is totally air-conditioned and includes a seating area and a fully equipped, modern kitchen. They also boast a private terrace, a dining table and a flat-screen TV. 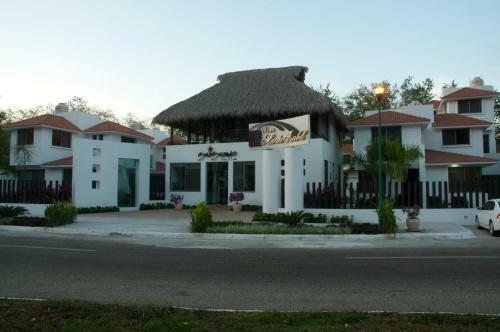 Guests will find several restaurants and a golf court. Copalitas Park, where guests will find an ancient archaeological site, is just a 5-minute drive from the property, while Bahias de Huatulco International Airport is 12 mi from Villas Maria Isabel. 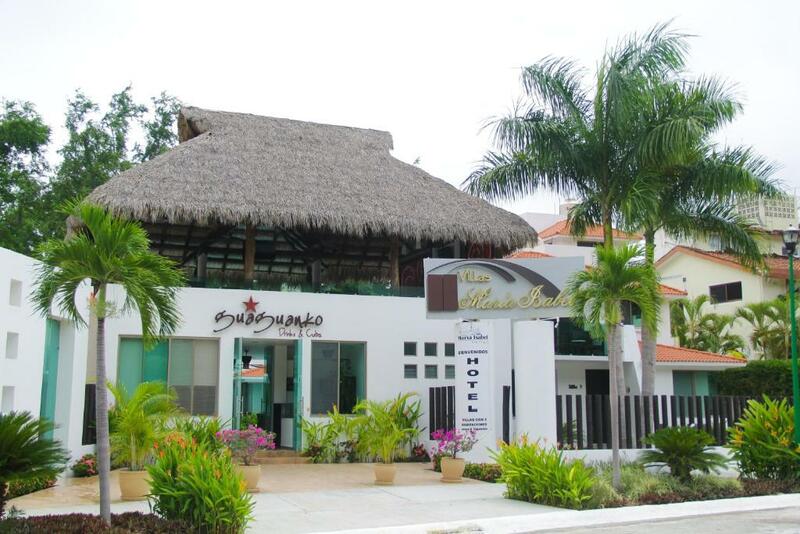 This property is also rated for the best value in Santa Cruz Huatulco! Guests are getting more for their money when compared to other properties in this city. 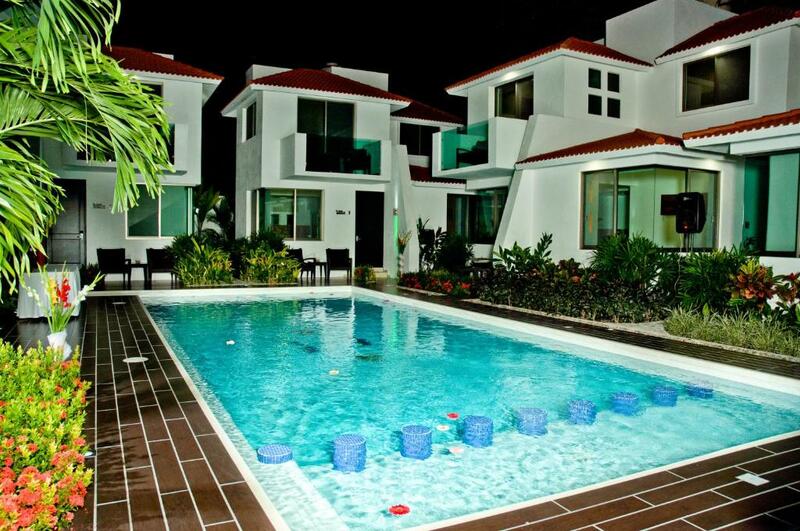 When would you like to stay at Villas Maria Isabel? 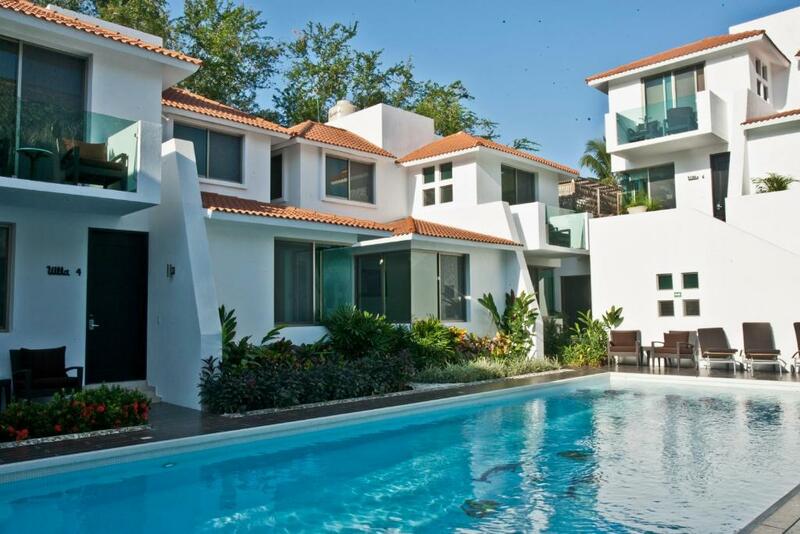 This air-conditioned villa features a spacious seating area overlooking the property. It has a fully equipped kitchen, a flat-screen TV and a private terrace. Guests have access to a shared swimming pool. Free Wi-Fi and private parking are also available. This suite has a cable TV, tile/marble floor and sofa. This double room features a iPod dock, seating area and sofa. 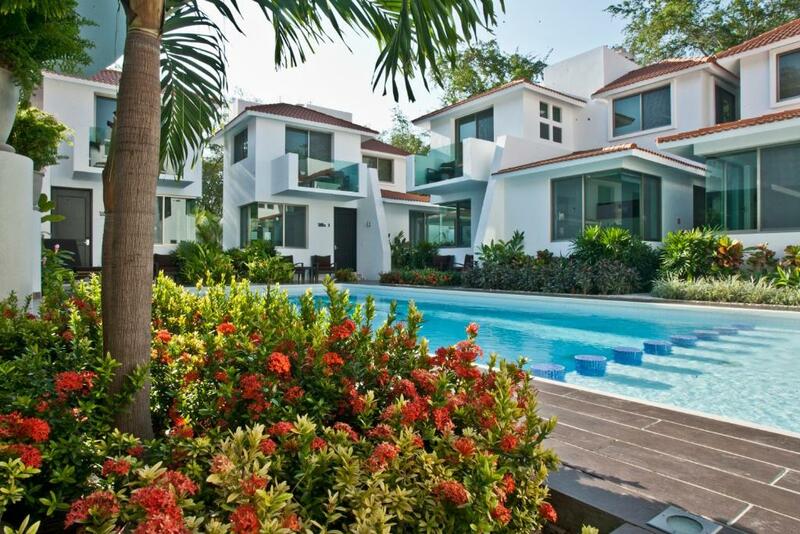 House Rules Villas Maria Isabel takes special requests – add in the next step! Free! One child under 9 years stays free of charge when using existing beds. Any additional older children or adults are charged MXN 378.92 per person per night when using existing beds. Villas Maria Isabel accepts these cards and reserves the right to temporarily hold an amount prior to arrival. GENERAL: We booked this place thanks to the very good critics it gets from other guests, and also by friends who stayed there int he past, and told us it would be an awesome place. I do not get payed by the hotel or anybody else to write this positive critics here, normally I even do not write critics at all, or just bad critics, if something was really wrong. But this time it is more than valid to spend these 15 minutes here for giving our best compliments: We stayed for around 14 days with my wife and our baby, my wife's mother and my parents in a villa, and have been treated like friends & kings at the same time. There was nothing, we can complain about, but everything we need to say thank you ! LOCATION: Not directly at the beach, but in fair distance, which helps a lot to stay away from any noise. The road passing by was very quite, nearly NO traffic at all, which is a very big plus ! Most times we took a taxi( 47 pesos, if i remember correct ) in the morning to Santa Cruz beach, but the local beach if very good also ! There are some good restaurants in walking distance, and even a small shop like "oxxo" in less than 3 minutes away, perfect. NO NOISE AT NIGHT AT ALL, this palce is just PERFECT ! STAFF: This hotel is run by 3 real Ladies, and first time in my life I had the feeling of coming home - isn't that amazing for a hotel? THANK YOU SO MUCH !!!!!!!!! Every wish, every question, every anything was just no problem, and solution was given in minutes. THERE IS NOTHING YOU CAN DO BETTER HERE ! PLEASE, most 5 Star hotels can lean here a lot of these 3 ladies !!!!!!!!!!! We didn’t know that the property had food until the 3rd day of our stay. Then, we were told that we had to give them 24 hr notice. Hopefully, ownership can change this in the future. Beautiful spacious room, nice modern decor. Very quiet, quaint villa and location. A short taxi ride 5-10 mins. ($40 pesos) to town, markets, stores and restaurants in Santa Cruz or La Crucecita. Huatulco is one of the safest Mexican towns / areas. Short 10 minute walk to public beach, Tangolunda. Sandy, strong waves, water sports, resorts, and beach souvenirs being sold. No English spoken at all by staff, :).... learning my Spanish. Love it. Yet, they are very kind, patient and helpful. Adjacent property is decent and the rest is just trees. Sometimes in Mexico your villa is lovely but the neighbors are not. Here, it’s mostly trees around the property. A few bugs after dark outside but nothing bothersome. Compared to other accommodations, this is excellent and exceeds what you pay for. Rooms have different options with fridge or kitchen or just bed and bath. Booking.com says the rate, fees and taxes, but there are still more fees and taxes when you arrive. About $200 more fee/tax pesos per $1000. Friendly and helpful staff. The pool is great and the breakfast by the pool was terrific. We particularly liked the fact that the hotel is very quiet while being close to beautiful beaches as well as the two towns in the area. Internet sporadic. Kitchen had no toaster, sharp knives, just one cutting board, could be better equipped. We had a few restaurants around the corner, but mostly had to take taxies to get groceries or to restaurants in Santa Cruz and Crucesita. The beds were comfy, the staff excellent, but not much English. They bent over backwards to help you with anything, taxies, towels etc. Loved the birdsong and sightings in the mornings.Quiet place. We had one of the suites #5, which was cooler than the others, as we just had morning sun. Great breakfast, excellent service, cleanliness good pool. Spotty WiFi. Major difference in the "standard rooms". We saw other "standard room" that had a king bed, refig, coffee maker and outside seating. Skip the A/C emissions. Love the staff at this place! Nice pool too. This year we were in a non-kitchen room, #11, and we much preferred our room last year: Villa #2. Our room this year was close to the street and rather noisy all night with traffic passing by. Bathroom was large and lovely, as was the room. TV was small, and the air conditioner emitted puffs of "sweet smelling" something whether or not it was turned on. That we did not like.